Happy 243rd birthday, United States Marine Corps. Semper Fi. The Navy had been in existence for less than a month and the Battles of Lexington and Concord a mere seven months in the past, when the Continental Marines were formed by an act of the 2nd Continental Congress, convened on November 10, 1775. Historians differ on the location of the first recruiting station. Some will tell you that it was the “Conestoga Waggon” tavern in Philadelphia. Tradition holds it to have been the “Tun Tavern”, a name coming from the Olde English “Tun”, meaning a barrel or a keg of beer. Continental Marines served a number of important functions during the Revolution, including ship-board security, amphibious assault and ship to ship combat. Then as now, Marines were riflemen first. During naval engagements they could be found in the masts and rigging, their sharpshooters’ skills taking out opposing helmsmen, gunners and ship’s officers. The first Marine landing on a hostile shore took place in March the following year, when a Marine force under the former Quaker, Captain Samuel Nicholas, captured New Province Island in the Bahamas. The island’s British governor managed to ship out 150 barrels of powder, but several brass cannon and mortars were captured, and later put to use with George Washington’s Continental Army. Captain Nicholas was the first commissioned officer in the Continental Marines, and is now remembered as the first commandant of the Marine Corps. The Continental Congress disbanded the Marines in 1783, following their help in winning American independence. Increasing conflict and the coming “quasi-war” with revolutionary France would soon bring them back. 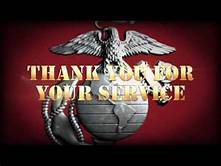 President John Adams signed a bill establishing the United States Marine Corps as a permanent military force under Navy jurisdiction on July 11, 1798. The most famous action of the early period occurred during the Tripolitan War of 1801–’05, against the Barbary states of Tripoli, Algiers, Tunis, and the independent Sultanate of Morocco. US Army Lieutenant William Eaton and United States Marine Corps 1st Lieutenant Presley O’Bannon led eight Marines and 500 mercenaries on a 600-mile forced march through the desert, against a much larger force defending the city of Derna, in Libya. Ottoman viceroy Prince Hamet awarded a Mameluke sword to O’Bannon on December 8, 1805, in a gesture of respect for the Marines’ conduct. That curved, cross-hilted scimitar became the model for swords worn by Marine officers to this day, the victory at Derna memorialized in a line from the Marine Corps Hymn “From the halls of Montezuma, to the shores of Tripoli”. Since then, the Marine Corps has participated in virtually every conflict ever fought by the United States, and usually the first ones in. To date, United States Marines have executed over 300 landings on foreign shores. Badly outnumbered in 1918 near the French hunting preserve of Belleau Wood, Marines under General James Harbord, were urged to withdraw. One captain retorted “Retreat? Hell, we just got here.” Over three weeks, US Marines and Army troops made a half-dozen assaults on German positions in the Wood, enduring poison gas, withering machine gun fire and hand to hand combat. Belleau Wood killed more Marines than every battle in Marine Corps history combined, and proved for all time the Marine Corps’ reputation as an elite fighting force. Marines in the World War II era are best known for Pacific “island hopping” battles such as Guadalcanal, Tarawa and Iwo Jima, but 6,000 Marines took part in nearly every theater, of the war. Always riflemen first, it was Marine Corps sharpshooters who cleared the way for the D-Day landing, picking off floating mines on the morning of June 6. To the Germans of Belleau Wood, this new and unfamiliar fighting force were “Höllenhunde” (“hellhound”), “Teufelshunde”, (“Devil Dogs.”), an appellation which survives, to this day. Devil Dog and Marine Corps mascot “Chesty XV” arrived at Marine barracks Washington DC on March 19, 2018, the phase I recruit to begin training, immediately. The original Tun Tavern burned down in 1781, shortly before the end of the Revolution. Today, the site is part of Interstate 95, where the highway passes Penn’s landing. You can still visit the Tun Tavern-styled restaurant at the National Marine Corps Museum in Quantico, where a beer and a bread pudding is always part of the lunch menu. The USMC has 182,000 active duty members as of 2016, with 38,500 in reserve. They are separated into three divisions, headquartered at Camp Lejeune, North Carolina, Camp Pendleton in California; and Okinawa, Japan. Each division maintains one or more expeditionary units, prepared for major operations anywhere in the world on two weeks’ notice. Over the course of Marine Corps history, fewer than 100 people have ever received the title of Honorary Marine, including Brigadier General Bob Hope, Master Sergeant Bugs Bunny, Corporal Jim Nabors and Gary Sinise of the “Lieutenant Dan Band”. Such a title may only be bestowed by the Commandant of the Marine Corps, the license plate of whose car will always read “1775”.